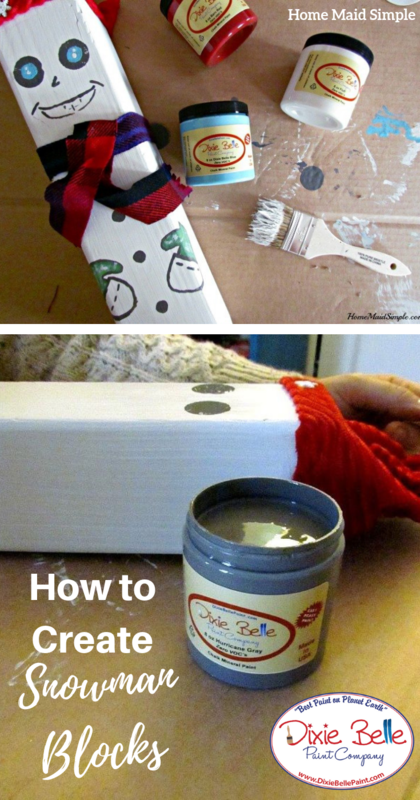 Simple and quick to make, these Snowman Blocks add the perfect decor to your front porch during the winter season. Especially if you’re lacking in the actual snow! I actually made these five years ago with a friend, but after many moves and different weather extremes, they were looking a little sad. Actually, they were more than sad, they were downright pathetic looking. Most of the buttons had fallen off, and the white paint was no longer a pretty white. Awe, poor snowman family! I almost didn’t pull these guys out this year, but then I got and decided to give them a nice update. Well, if I’m being totally honest, I personally didn’t update them. My eye for detail is not always the bet on objects like these. I can add buttons and sew up hats and scarfs, but painting details not my strongest skill set. So I enlisted Mark’s help. 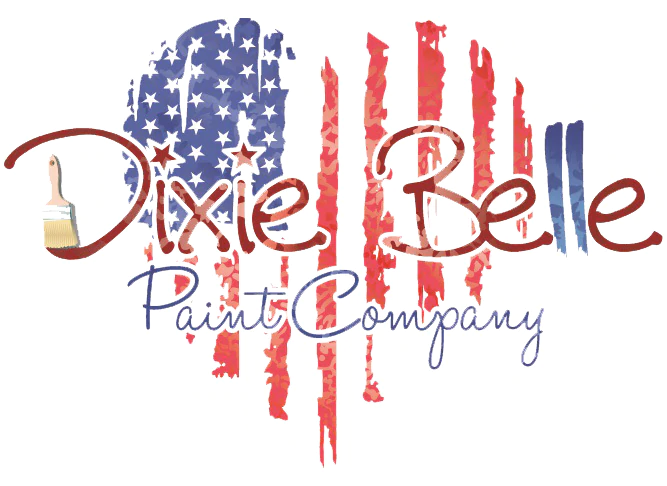 Paint your wooden blocks with Dixie Belle Paint color, Cotton. This fantastic paint has a fast dry time so that by the time we finished our last block, our first block was dry and ready for the details. 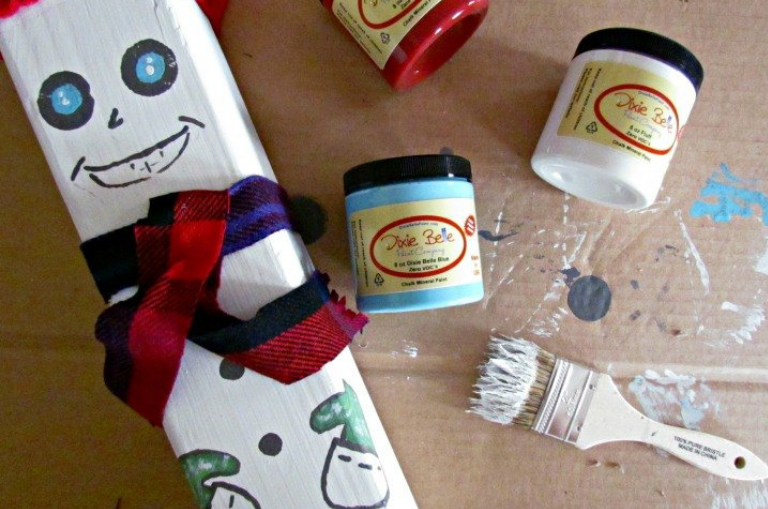 Continue adding details with various Dixie Belle Paint colors to create your snowmen. Each of our snowmen is sporting a fun face, 3 buttons, and 2 gloved hands. Our middle snowman got lucky and received some pockets. Read the full tutorial from Adelina Priddis at Home Maid Simple here!